Here you can find all info about Amnesia from Vision Seeds. If you are searching for information about Amnesia from Vision Seeds, check out our Basic Infos, Degustation, Strain Reviews, Shop-Finder and Price Comparison, Lineage / Genealogy or User Comments for this cannabis variety here at this page and follow the links to get even more information - or list all Amnesia Strains (±149) to find a different version. If you have any personal experiences with growing or consuming this cannabis variety, please use the upload links to add them to the database! Amnesia is a mostly sativa variety from Vision Seeds and can be cultivated indoors (where the plants will need a flowering time of ±84 days) and outdoors. 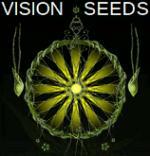 Vision Seeds' Amnesia is/was only available as feminized seeds. Amnesia is the perfect strain for a really strong, mellow high. The aroma of the bud by itself isn’t very overwhelming, but as soon as the fumes hit the room the smell is very floral and hazy. The dark and lime green coloured buds of Amnesia are seriously compact with lots of hair buried deep inside of them and covered in loads of crystals. Amnesia from Vision Seeds is available only as feminized seeds. Regular seeds are not available at the moment. In 11 seedbanks, we found 40 offers between USD 8.24 for 1 feminized seed and USD 1021.71 for 150 feminized seeds. 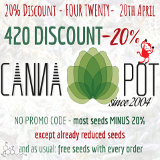 If you are looking to buy Amnesia Cannabis Seeds from Vision Seeds somewhere - have a look to our Amnesia Price Comparison page with all current offers from all the connected seedbanks and shops - or visit one of the following tested, trustworthy and recommended seed-shops directly to check out their current Amnesia offers: Discreet Seeds, canna-seed.com, Cannapot Hanfshop, Samenwahl.com, PEV Seeds Bank, Zamnesia, Linda Seeds | Linda Semilla, Original Seeds Store, Herbalist, Canna-Seed Seed Shop and Herbies Head Shop. We've collected strain info from 3 growers for Amnesia. Amnesia gets 7.44 of 10 possible Points in the average! The seedfinder users tested Amnesia and uploaded information about the aroma, taste and effects of Vision Seeds' Amnesia. Here a short overview, click to the charts or links to get an exact description and find similar cannabis varieties! low needs of nitrogen, extra magnesium needed. i've grown them under 400w light and got nice firm buds. the buds don't look big on the plant, but you will have a nice dried weight. Do you know something more about Vision Seeds' Amnesia? Please help to make this database better and upload/connect your information here!